Thinking of booking a family history or research trip with us to Europe? Please think fall of 2014 or later. 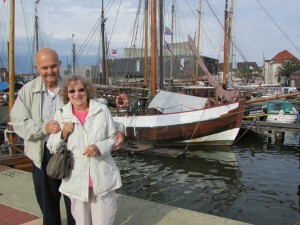 Ken and Gloria started planning their ancestry trip to Germany in 2007. They finally took their trip in September, 2013, during which they met cousins and made new discoveries. To have this kind of experience, start planning now for travel now. Posted in Europe Tours, Family History Tours and tagged 2014, calendar, family, full, history, nearly, trips.